"It's best Miranda's cover for ages! I love it, just stunning." Looks more like a Las Vegas showgirl but this will fly off the shelves! 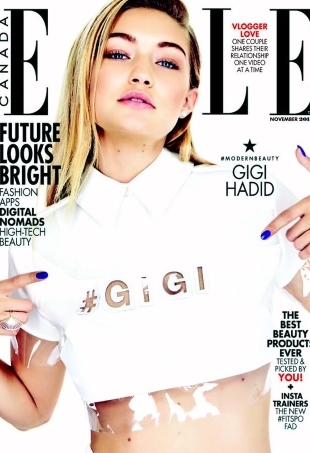 Following in the footsteps of Cindy Crawford, Gigi Hadid becomes ELLE Canada's November 2015 cover girl. "It's always a pleasure to see Cindy and ELLE Canada has definitely stepped forward with this." Canada’s own Miss Congeniality, transgender model Jenna Talackova, proves the only way is up with her stunning new fashion spread.